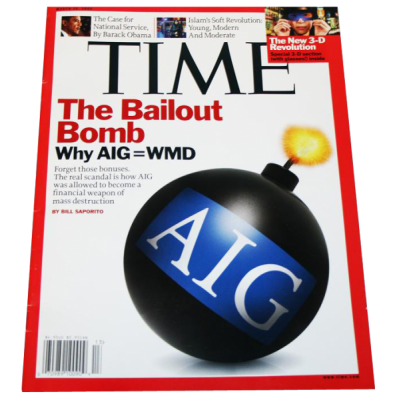 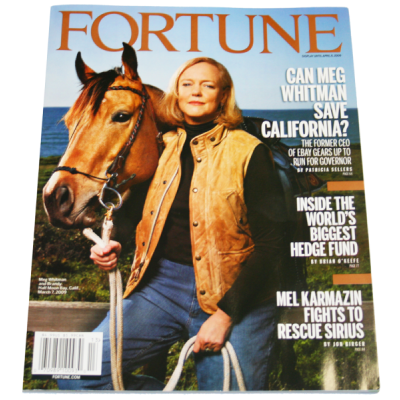 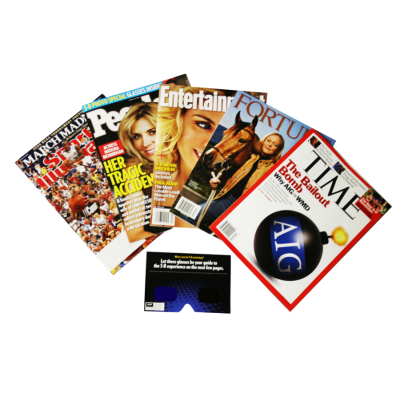 Time Inc. - American Paper Optics produced 16,000,000 ColorCode 3D inserts for Time, People, Fortune, Sports Illustrated, and Entertainment Weekly all out on newsstands in the same week. 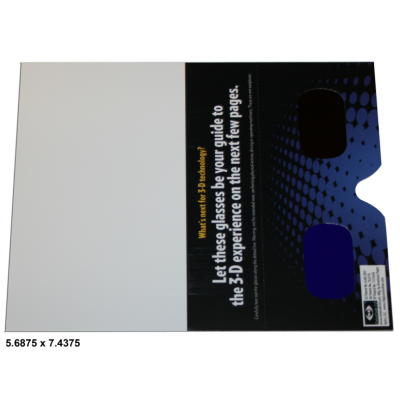 Both 3D ads and editorial content were printed for 3D viewing in these 5 major publications. 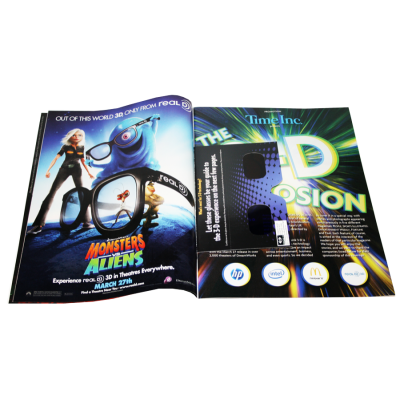 This massive promotion was all surrounding the Dreamworks premiere of Monsters vs. Aliens in 3D.